Indian hopes of an Olympic medal received a massive boost as wrestler Vinesh Phogat won gold in the second World Olympic qualifying tournament on Saturday. Earlier in the day, Phogat had defeated Yumi Lee of Korea before following up her act with a comfortable win in the semis to qualify for Rio. In the final, Vinesh defeated Iwona Matkowska of Poland 6-0 to secure gold in the 48kg freestyle category. Vinesh had confirmed her place in the Olympics after a win in the semis. She defeated Ewin Demirhan of Turkey 12-2 in the semi-final earlier. Having been consistently impressive in the qualifiers, the JSW-backed wrestler started the contest in imperious form, first executing a quick takedown and then following it with an even quicker reversal to race into a 4-0 lead. Demirhan, however, had no intentions of shutting up shop as she fought back to close the first period at 4-2. Phogat started the second period in similar style as the first building on her lead with a brilliant reversal and overpowered her opponent eventually. The win made it 4 wins-via-technical fall in a row for the Indian wrestler, who finally managed to book her tickets to Brazil. 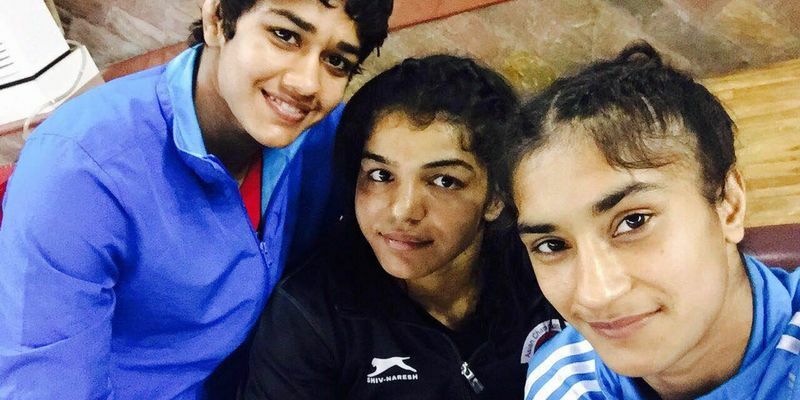 The 21-year old Phogat had won her quarter-finals by a score of 11-1 earlier in the day. She will be joined on the plane to Brazil by fellow wrestler Sakshi Malik who also qualified on Saturday evening winning the semi-final in her event.